Got this beer as part of a trade with a craft beer attorney from the DC area. Yes that really is a thing just like a craft beer insurance agent is a real thing. He sent me several single and double IPAs that we cannot get in the northeast and Racer X was the first one I opened. The brewery description says this is balance in a bottle and I couldn’t agree more. Racer X pours a very deep orange with a thin off white head that left tons of lacing on the glass. Aroma had loads of orange and was very inviting. Taste starts with a solid dose of sweet malts then the citrus hops take over. Finishes with a mild bitterness. Really excited to have the chance to try Racer X, thanks Dan. Brewers Description: Racer X is an uncommon Double India Pale Ale which puts a California twist on English brewing traditions by adding an assertive hop aroma and bitterness that compliments the firm malt backbone. 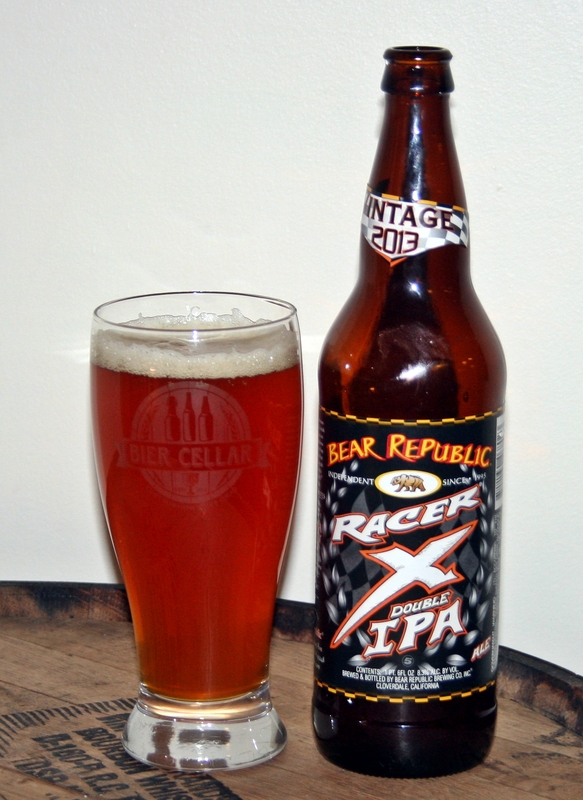 Like its little brother Racer 5, Racer X is balance in a bottle.